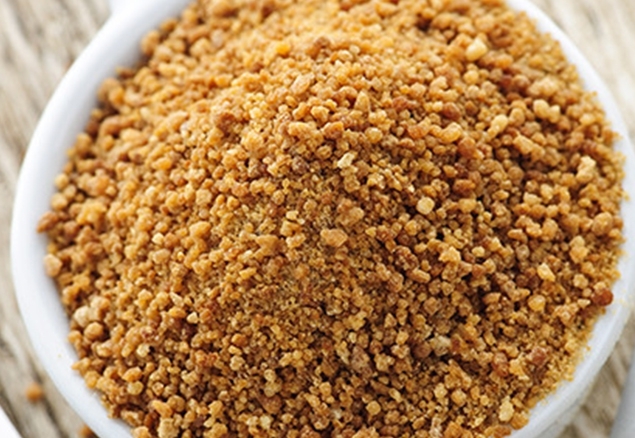 Also known as coconut palm sugar or coconut blossom sugar, coconut sugar is made from the sustainably harvested sap of freshly cut flower buds of coconut palm trees. It has been used as a traditional sweetener for thousands of years in South and Southeast Asia. With a slight hint of caramel, its flavor and texture are similar to that of brown sugar. It can be substituted cup for cup for sugar in any recipe. Works great for cookies, sweet breads, and sauces. Step One: Farmers tap the coconut flower buds to collect sap. Step Two: The sap is heated to remove the moisture. This forms toddy. The toddy is stirred as it reduces. Step Three: When the toddy crystalizes and it is almost solid, the toddy is ground with a coconut shell on a sifter. You now have coconut sugar! Because coconut sugar can be made with dwarf coconut palms, farmers can fit more trees per acre. Dwarf coconut palms generate product quicker than full sized palms. Farmers can begin tapping dwarf palms for coconut sugar after only three years. Full sized palms start generating nuts 4~5 years after planting. 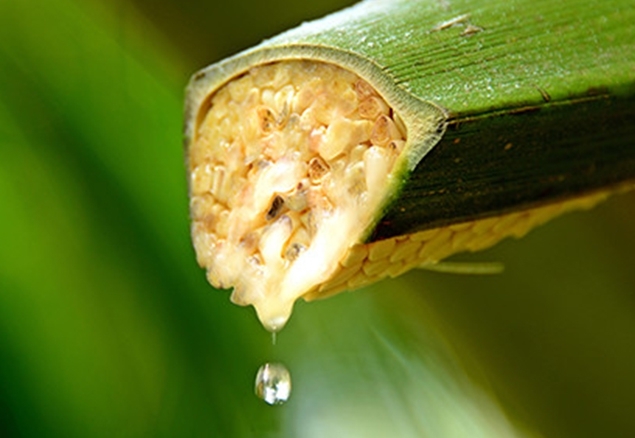 Farmers do not need to climb dwarf palms to harvest sap, which allows for an easier harvest. Each palm can generate up to 132 lbs of sugar per year. 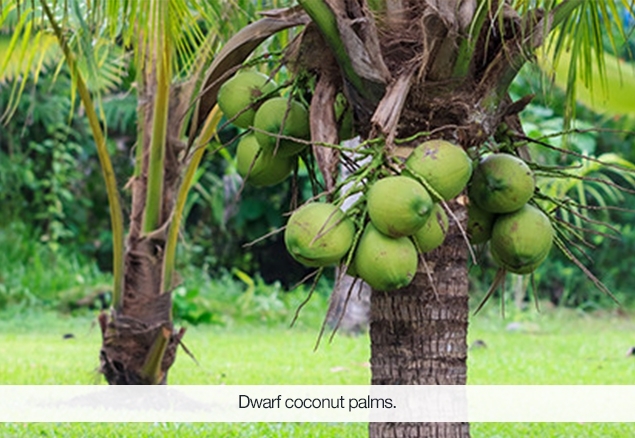 As opposed to full sized palms, farmers can tap dwarf palms for coconut sugar nearly all year. This provides a more stable work environment. 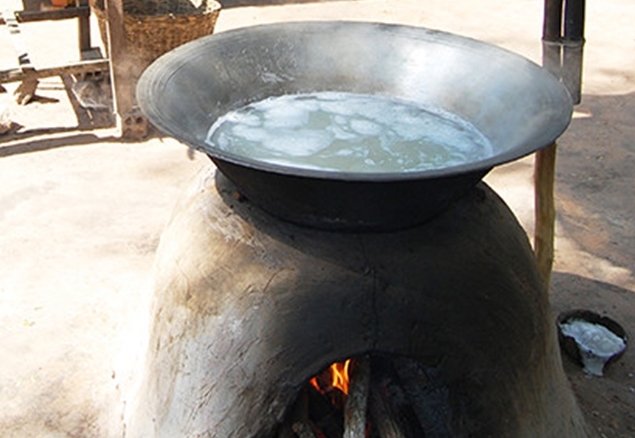 The processing of coconut sugar can be done on the farm or at a cooperative as opposed to a production plant. This helps impoverished communities grow economically and reduces unemployment because of a year-round, high profit, globally successful product.